alaTest has collected and analyzed 82 reviews of JVC GR-D 370. The average rating for this product is 3.7/5, compared to an average rating of 4.0/5 for other Camcorders for all reviews. Opinions about the size and portability are generally positive. The image quality and price are also appreciated, whereas many are negative about the reliability. Opinions are divided on the battery. We analyzed user and expert ratings, product age and more factors. Compared to other Camcorders the JVC GR-D 370 is awarded an overall alaScore™ of 78/100 = Good quality. alaTest has collected and analyzed 48 user reviews of JVC GR-D 370 from Amazon.com. 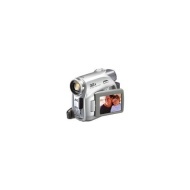 The average user rating for this product is 3.6/5, compared to an average user rating of 3.9/5 for other Camcorders on Amazon.com. Reviewers are impressed by the image quality and durability. The zoom and price also get good views. Zoom The GR-D370 has a 32x optical and 800x digital zoom. The optical zoom is much higher than many other camcorders in this price range. Despite its relatively low price and big optical zoom range, the JVC GR-D370 does little else to distinguish itself in budget class. I have had it for about 3 years and I only had one problem with it. It just needed it's heads cleaned. I got it when it was [$]. So now it's even a better deal. I have had this camera for a few months. Wanted something to tape kids activities and just general family fun. I bought this camcorder about 2 months ago and I don't regret it one bit.